THIS HIGH-PERFORMING FLOOR PUMP OFFERS NICE FEATURES AT A GREAT PRICE. From BikeTube, a company more commonly known for its (surprise!) bike tubes, comes the Air Handler Floor Pump. In keeping with the rest of the products the brand sells, this is a high-value product designed with convenient features and solid construction. 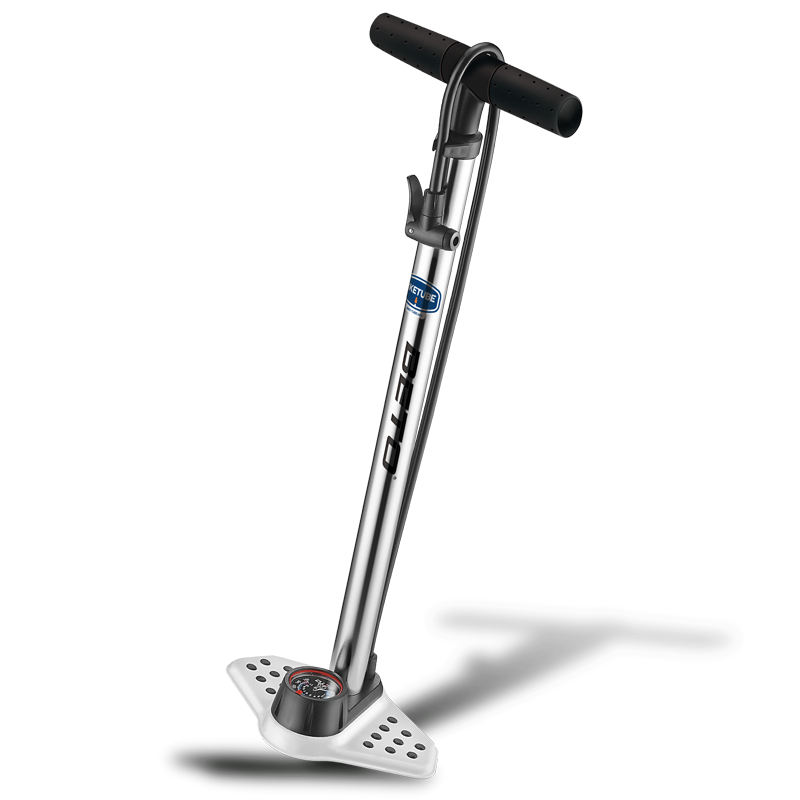 The floor pump's steel base provides a very solid platform and the aluminum barrel helps limit heat expansion while keeping overall weight low. The wide handle with rubber grips feels sturdy in your hands, and the industrial-grade pressure gauge is rated to within 2 percent accuracy. The pump head fits both Schrader and presta valves without the need to change gaskets, which is a nice and uncommon feature for pumps at this price. The Air Handler is manufactured by Beto, a longstanding global pump manufacturer that's best known in the US for selling lower-cost pumps through Wal-Mart, Kohls and other department stores, but also manufactures pumps for some of the big brands. Bike Tube is hoping to use this manufacturing experience to produce high-end products like this one, which has subtle but very useful features. The Air Handler comes with a long, 35-inch hose that you'll appreciate when your bike is in the stand and you want to inflate the tires. The long hose wraps around the handle, which helps holding it in place for storage and travel. 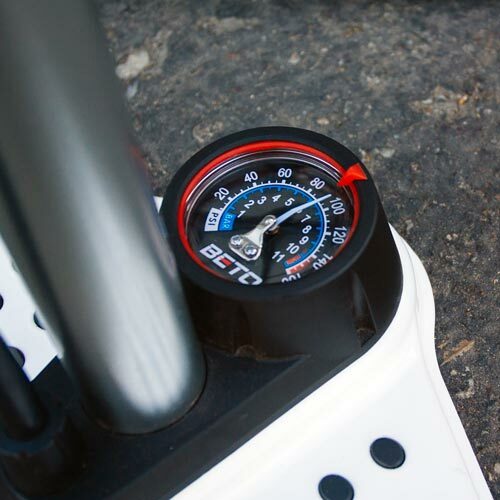 Also, the gauge is mounted on the base to protect it from damage if the pump tips over and features an adjustable indicator so you can set your tire pressure without squinting to read the small numbers. Rated to 160 psi, this pump is ready to handle almost any inflation chore you toss at it. It's not a name-brand pump, but the price is right, the manufacturer is experienced, and you get a reliable pump for a bargain.